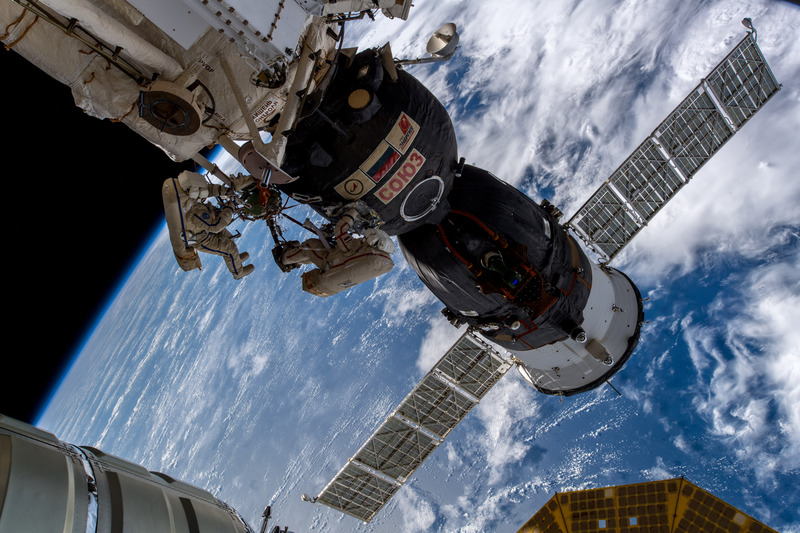 Astronauts Alexander Gerst and Serena Auñón-Chancellor and cosmonaut Sergei Prokopyev will share their Soyuz with vital science when they return to Earth on Thursday 20 December. A number of ESA experiments are destined for researchers on Earth. These include the Plasma Kristall-4 experiment, which has been recording data on how atoms behave using microscopic plastic particles in plasma. Eight hard disks containing three terabytes of precious scientific research will be coming home strapped above the astronauts’ heads. Our world is made of atoms and molecules, but even with the most powerful microscopes we can only see snapshots, never how they move and interact with each other. To model how atoms behave, researchers have been using plastic particles in weightlessness. See them moving in space in this fascinating video. The Plasma Kristall experiments have been slow-cooking since 1998 using the same recipe: mix electrically charged gas in a sealed container with particles so small they would pass through a coffee filter. Perform the experiment in ‘weightlessness’ to keep the particles suspended. Apply electrical current in a plasma-filled tube to coax the particles to behave like atoms and form three-dimensional crystal structures. Using Plasma Kristall-4, researchers across the world can follow how an object melts, how waves spread in fluids and how currents change at the atomic level. Radiation poses a major challenge for spaceflight as we venture farther from our protective atmosphere on longer missions. Spacecraft designers and medical professionals need to know how radiation is absorbed and distributed to design better spacecraft or countermeasures to limit effects on the body. Other hardware returning in the Soyuz include radiation monitors: DOSIS 3D and the European Crew Personal Active Dosimeter (EuCPAD). These experiments record radiation doses on the International Space Station and on Alexander himself respectively. Doctors take the amount of radiation that an astronaut is exposed to during spaceflight very seriously. Alexander’s radiation dose was recorded by a passive dosimeter worn on his body, and that can only be read out after landing. EuCPAD allows researchers to know what the radiation level is and compare this to radiation received in different modules. Last week Alexander replaced 12 dosimeters from an experiment called DOSIS 3D that has devices all around the Station to measure radiation dose inside the orbital outpost. Packed in the Soyuz, these dosimeters will help researchers build a three-dimensional dose distribution map of all the Space Station segments. The experiment could also prove beneficial to radiation monitoring for commercial and military airline crews and the development of countermeasures. The Matiss experiment is also ready for its return to Earth. The goal of this experiment is to test innovative surfaces with antibacterial properties. 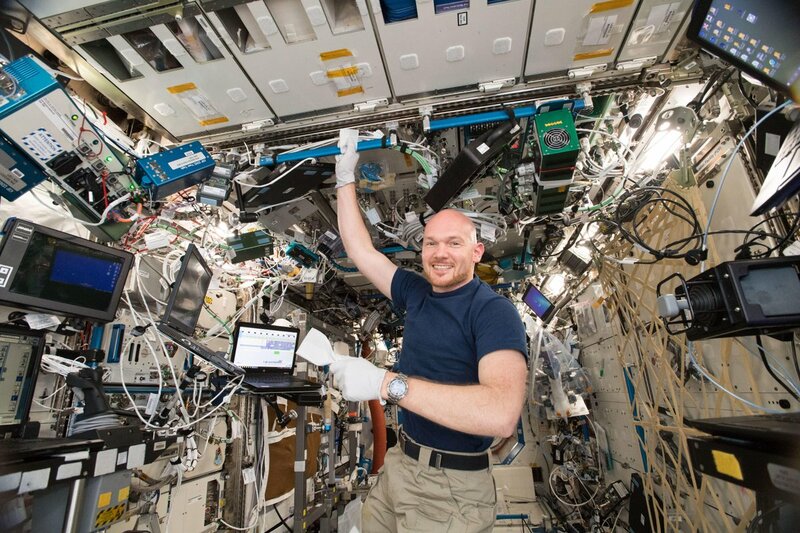 Mitigating biocontamination is vital for crewed spacecraft and future habitats on the Moon and Mars as microorganisms could pose significant risks to crew health and equipment. 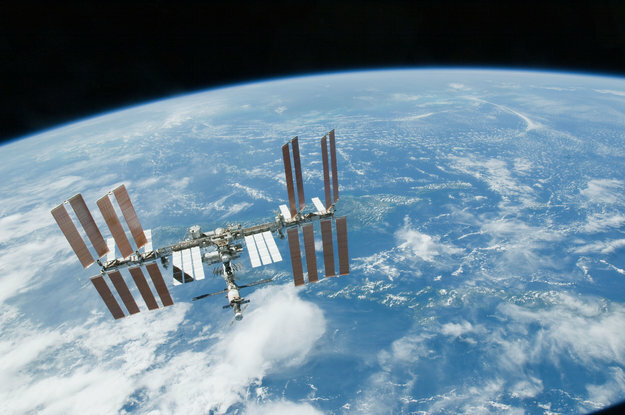 France’s CNES space agency, in collaboration with the ENS universityof Lyon, research institute CEA Tech – LETI and construction company Saint-Gobain, selected five advanced materials that could stop bacteria from settling and growing on Space Station surfaces. A sixth element, made of glass, is used as control material. The materials should stop bacteria from sticking to surfaces and growing, effectively making them easier to clean and more hygienic. Alexander left a unit up in the European Columbus laboratory for 90 days. The unit was open on the sides to let air flow naturally through and collect any bacteria floating past. Now that his mission is nearly over, he has taped the sides to block other bacteria from entering, wrapped them in plastic and placed them in the Soyuz. Back on Earth, the surfaces will return to a laboratory for in-depth microbial analysis. While results from previous samples are expected to be released soon, future tests will see the plaques stay in Columbus for half a year and in space for a full 12 months.